I will not give away any major plot points or spoilers in this plot summary. It will only give you a basic idea of what the movie is about. If you have seen the trailers for The Last Jedi AND watched The Force Awakens, you should be fine. However, this technically does spoil the movie that came before this, so its up to you if you haven't watched 2015's movie to read this or not. When we first see Luke, he is extremely different than when we last met him. 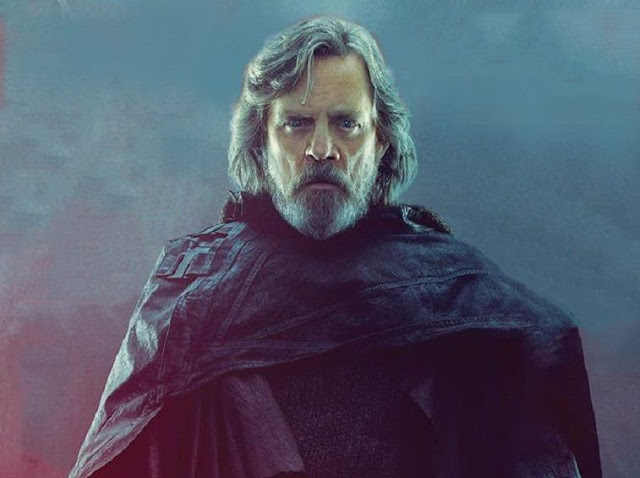 The once confident young Jedi knight has now become an old, grumpy, and lonely man who is ashamed of being a Jedi. He rejects Rey, and attempts to continues life on his secluded island on the planet Ach-To. Rey pleads with him, telling him that the galaxy needs his help, but he still is doubtful that he would be able to get out of the mess that he has become stuck in. Rey confides him to train him in the ways of the Force, and he explains that the Jedi are nothing but a legacy of failure. 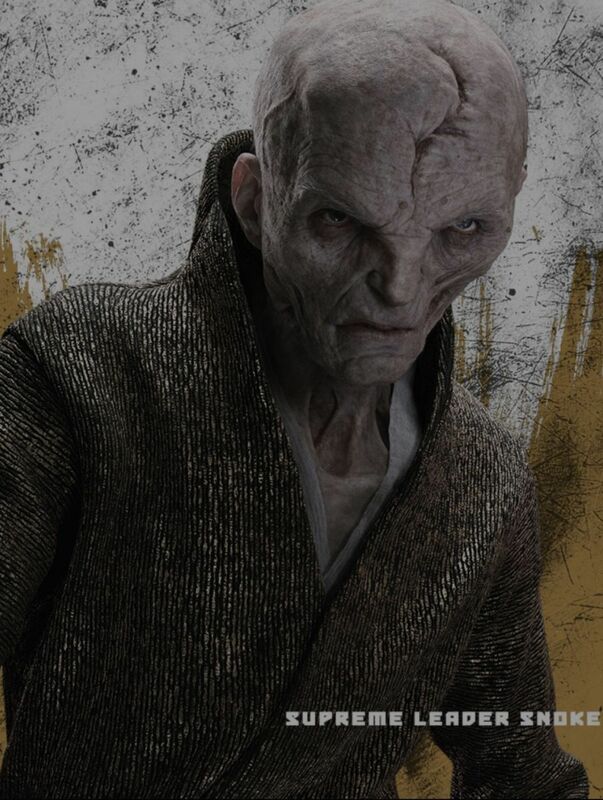 He swore to himself never to train another Jedi again, after what had happened with Ben Solo burning his temple years ago. He is guilty and thinks he is responsible for his own nephew becoming Kylo Ren. Meanwhile, the Resistance struggles in battle as the First Order has the upper hand. 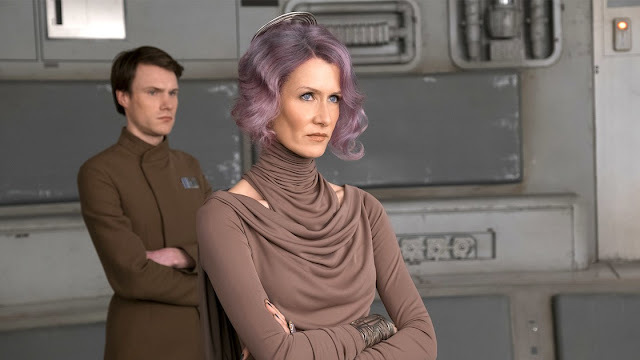 A series of unfortunate events leads to Admiral Holdo (AKA the purple-haired lady) becoming a new leader of the Resistance to help guide them along. Holdo and Poe Dameron don't exactly get along, and Poe causes lots of trouble while trying to help the Resistance. 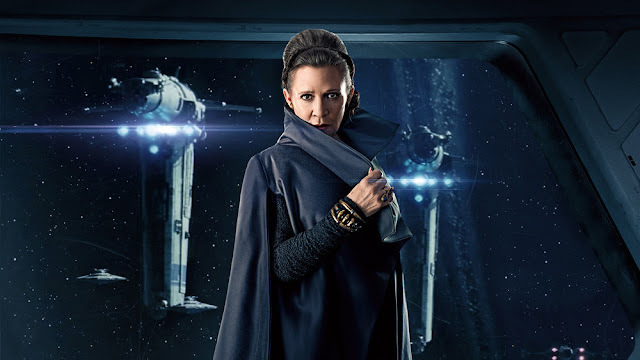 The Resistance realizes that the First Order's massive star destroyer, the Supremacy, has been tracking their ships through hyperspace, thus surrounding them and not letting them escape. Just when all hope is lost, Poe Dameron comes up with a plan to disable the tracker that he knows his new boss, Admiral Holdo, will not approve of. So, he tells Finn about the plan. Finn meets Rose, an ordinary janitor working on a Resistance ship. 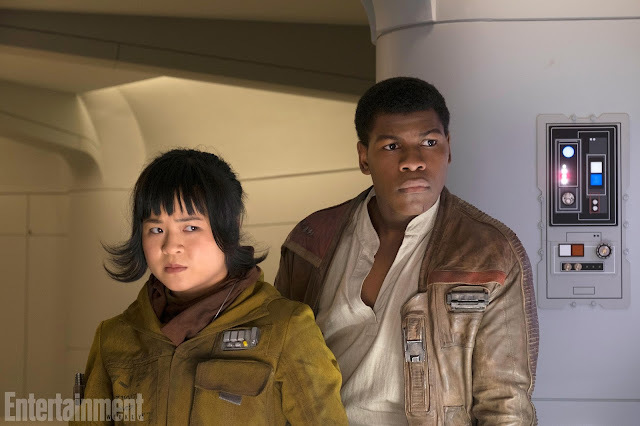 Together, they are launched into an unexpected adventure where they travel to the casino planet of Canto-Bight in order to find a hacker who would be able to disable the First Order's tracker. Maz Kanata sends them a message telling them about a "master codebreaker", and while trying to find him in the busy city, they accidentally find a ragged man nicknamed DJ who claims he can do the job for them. 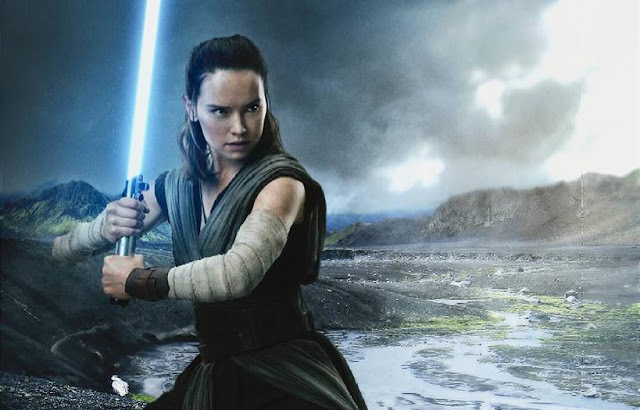 Meanwhile, Rey finally receives Jedi training from a reluctant Luke, and he is startled by the strength of her powers. 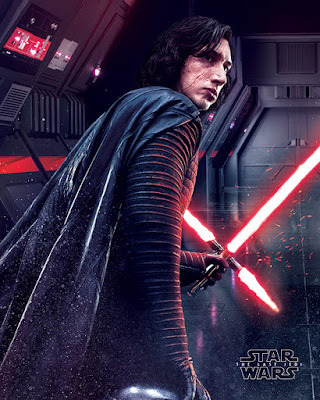 He says (comparing Rey to his old apprentice, Ben Solo), "I have seen this raw strength only once before. It didn't scare me enough then... it does now." Kylo Ren and Rey are frequently face-to-face in Force visions where they can communicate through the Force. Rey senses some light in Kylo. Rey and Kylo Ren have a final encounter with Supreme Leader Snoke, which leads to a climactic reveal that will change everything you thought you knew about the new trilogy of Star Wars films. Will Kylo Ren turn to the light? Who are Rey's parents? Are the good guys forever doomed no matter what? 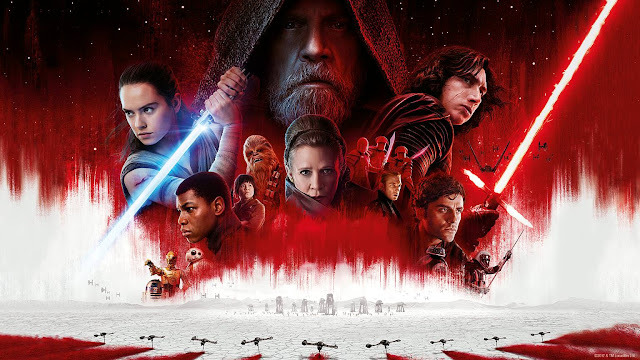 Find out by watching Star Wars: The Last Jedi, in which only the strongest will survive! That's as much as I can say without spoiling the movie too much! This movie is so action packed and emotional, and is possibly the most unexpected Star Wars movie yet. There are plenty of fan-service moments, but is doesn't bank as much on pure nostalgia as The Force Awakens did. While Force Awakens was a great movie, this feels like a huge step up in quality overall. Mark Hamill makes an amazing performance as Luke Skywalker. You can tell how fractured his character has become. Most of the other character are no exception. The movie has a newer, darker, tone. but still is in not at all similar to Empire Strikes Back (with the only exception of having a shocking climax reveal). Despite the dark tone and all the deaths, the movie isn't a drag thanks to its various moments of humor that have been thrown in to give the audience a laugh every once in a while. This movie is definitely the funniest Star Wars movie, and possibly the most surprising as well. However, my only few complaints come from the fact that some parts simply feel off in a way. The movie doesn't seem to fit in perfectly after the events of J.J. Abrams' The Force Awakens. The movies are so different that is almost feels like they don't belong next to each other at all. 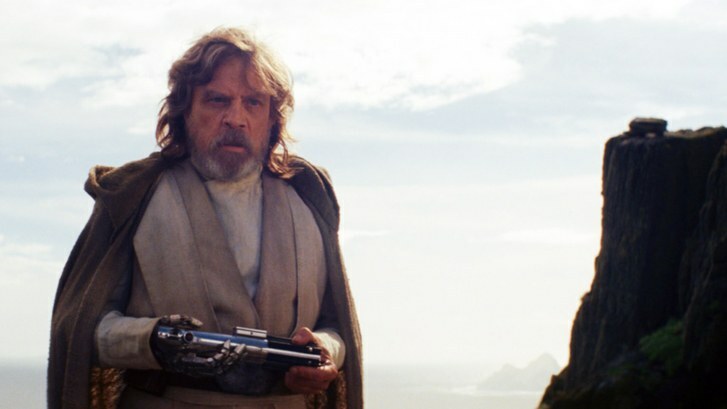 Last Jedi is almost like a puzzle piece that, while is technically does fit in with the piece next to it, just seems slightly off. 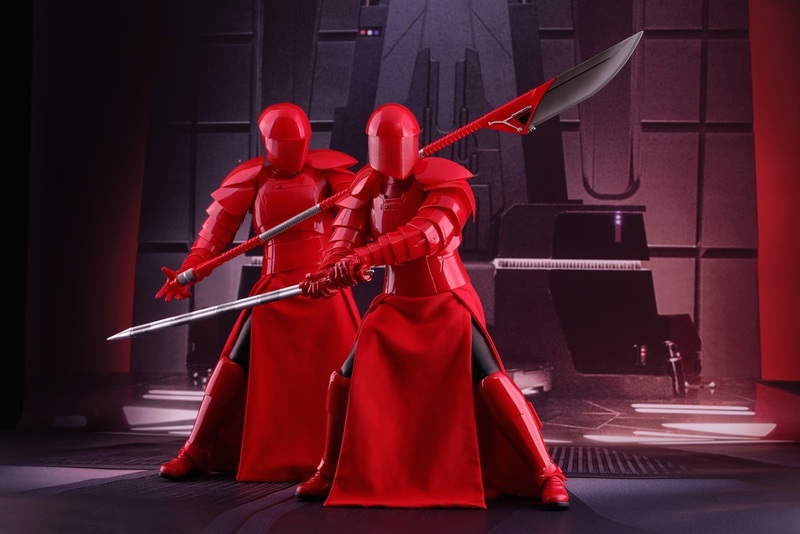 A few parts seem like potential that has been set up from the previous movie have been completely wasted, or have just been executed in a way that could have been done better. A few scenes will definitely be very controversial among Star Wars fans. This movie is still satisfying enough to make up for its flaws If you are a fan of Star Wars who enjoyed The Force Awakens, then if you haven't watched this yet, do yourself a favor and watch it (and avoid spoilers before doing so). You would be missing out otherwise! In my opinion, this movie is a good contender for the honorary title of best Star Wars movie ever! Thank you for reading this movie review! If you enjoyed it, be sure to check out my other blog posts. I do other movie reviews, and talk about geeky stuff like Star Wars and gaming. See you in my next post, which will likely be my 100 thousand post special! Merry Christmas, Happy Holidays, and Happy New Year to all! BBYYYEEEEE!! !